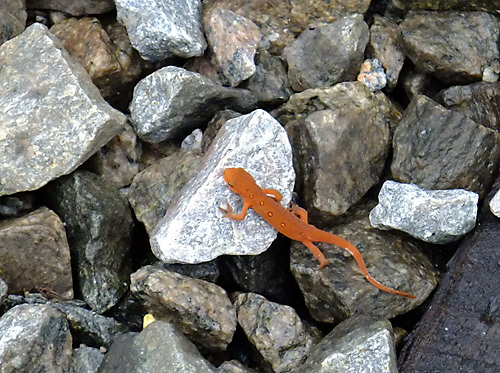 Yep, saw this little skitterer while walking the rails in Southwest Virginia. Posted in Bob Lawrence Photography and tagged red spotted newt. Bookmark the permalink. OMG! What a rare shot! These are almost non-existent,now, Bob! I love it!